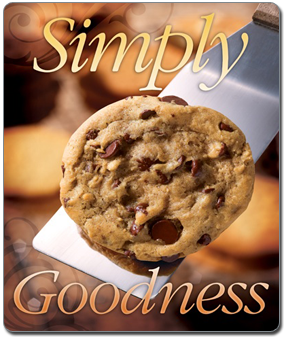 Our Annual Cookie Dough Fundraiser will begin on Thursday, October 25th and end on Thursday, November 8, 2018 All order forms and money need to be turned in by Thursday, November 8, 2018. The proceeds of this year’s fundraiser will go towards educational purposes. This year we are asking that each student sell a minimum of 5 boxes. If we do this we will make over $5,000 profit. All boxes of cookies sell for $16.00. Your child has received his/her order form and will take orders and collect money. If you need more order forms, you can get them from the school office. He/she will submit their order forms and money to their teacher by Thursday, November 8th. We do not encourage students to sell door to door but would rather they sell to relatives or well-known neighbors. Parents have also helped in the past by selling to co-workers and this is appreciated. Please make checks payable to St. John School. Thank you for your support in helping us achieve our goals for the benefit of our students. Delivery of the cookie dough will be Tuesday, November 20th @ 12:45 pm. We’ll give you notice so that you can bring your coolers to school when you pick up your child at the end of the day. MONEY BAG: Each family who sells 15 boxes by Thursday, November 8, 2018 will get a chance to reach into the money bag. Families with more than one child should select who will draw from the money bag. Remember: Every 15 boxes sold per family is another chance to reach into the money bag. Whatever bill they pull from the bag (from $1-$50), they get to keep. Top Selling Class: Pizza Party (minimum of 75 boxes sold). All money raised through our fundraising efforts directly benefits the children of St. John Catholic School. Your support is greatly appreciated! Please call 624-3865 if you have any questions. We are pleased to inform you that the School Board unanimously voted to affirm enrollment to include two classes at each grade level (Kindergarten through 8th Grade). Pursuit of this course of action has been authorized by our parish and school administration. A reminder that tomorrow's games begin at 4:00 at St. John's. Varsity Boys Volleyball will be played in the Courtyard, while JV Boys Volleyball will be played at the outdoor volleyball court. Varsity Girls Basketball and JV Girls basketball will practice as usual. Tuesday, December 5. HOME vs. St. Cyril's. Tuesday, December 12. HOME vs. St. Ambrose. Looking to add one or two scrimmages for the Monday or Tuesday (12/18 and/or 12/19). Saturday, December 9. 10:00 a.m. vs. St. Ambrose. (at St. Augustine HIGH SCHOOL). Looking to add one or two scrimmages on Monday (12/18) and/or Tuesday (12/19). The January schedule is still being tweaked mainly due to location considerations. That will be released once it has been confirmed. Homeroom Teacher will collect donations. NO OUTSIDE FLOWERS WILL BE ACCEPTED! 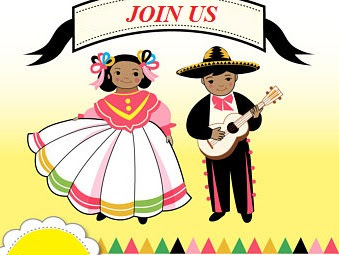 Please save the date and join us for our school Posada Navideña. All are welcome! This event is free of charge and includes food, yummy sweets and tons of fun! We cannot make this event possible without your help. Please make sure to check in with your teacher/room parent to see what your child’s grade is in charge of donating. We are also in need of help the day of the event for set-up, serving, and tear down. If you are in need of parent volunteer hours, please contact Ms. Rodriguez in the school office. Por favor, guarde la fecha para nuestra Posada Navideña. ¡Todos son bienvenidos! ¡Este evento es gratis e incluye comida, deliciosos dulces y mucha diversión! No podemos hacer que este evento sea posible sin su ayuda. Por favor, asegúrese de verificar con el maestro / padre de salon para ver cuál es la donación que ocupa traer. También necesitamos ayuda el día del evento para decorar, servir y limpiar al final. Si necesita horas voluntarias, comuníquese con la Srta. Rodríguez en la oficina de la escuela. ¡No podemos esperar a que se unen a nosotros! The tournament schedule/bracket was just released. The brackets for each tournament are below, as is a summary of rules and the schedule. Student-athletes must be in full, correct uniforms (jersey w/correct number, solid shorts, proper shoes, WHITE socks). Once a team loses, they cannot get back to the winner's side of the bracket. Teams can still earn higher placing until they lose a second time. I will work on a schedule for table duties. I am requesting that ADs do NOT keep score during the CHAMPIONSHIP game for either basketball or volleyball- you should be readily available to help coaches and/or address parent/spectator issues. Absolutely no signs, no bullhorns, no pompoms, no balloons, etc. will be allowed in the gym (as stated in our handbook). One warning will be given. If it is not corrected, individuals will be told to leave. Please note: No food or gum is allowed in the gym. Food can be eaten in the dining area or outside. Second game: 11:00 or 1:00. Third game (if qualified): Sunday - 12 noon or 2:30. Each school needs a coach present for the mandatory meeting on Saturday, 11/4 @ 8:15 a.m.
A.D. cannot substitute for a coach at the meeting, per handbook. Third game (if qualified): Sunday at 9:00 or 10:00 a.m.
Each school needs to have a coach present for a mandatory meeting on Saturday 11/4 @ 1:30 p.m. The fine for missed meetings in $30. I hope this is every bit of information we need. Let's get behind our young men and women as they look to climb to the top of this mountain. Go Thunder!!! Registration and deposit for DC trip is due by Friday, October 6th. Log on to GerberTours.com click on participants in the upper right-hand corner of the page and follow the simple steps. Join us for a tour of the school! You will get to meet our students and staff. Experience what it is like to be a student at San Miguel High School! Students are responsible for their own transportation! San Miguel does not provide transportation!